Masks and Collars and Balaclavas, oh my! Did Juno that REV’IT just came out with some new accouterments for your face? Because they totally did. And if they didn't want me to make silly puns and references to Greek and Roman mythology in my blog posts, they shouldn't have named all of their new gear after gods, goddesses, titans, and other mythical creatures. The REV'IT Juno Collar is like an impenetrable shield wall, but for your neck. Cold? Get the Juno. Wet? Dry off first, and then get the Juno. Though minimalist in its design (there’s not much to a collar), the Juno actually pulls off quite a long list of functionality. It’s comfortable. It insulates. It fights bacteria. It controls odor. Really, besides making denarii, I can’t expect much else out of a collar. 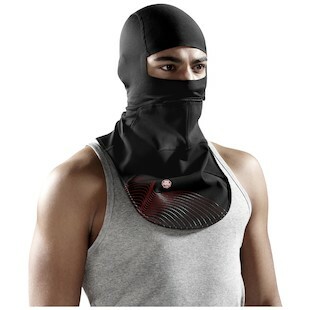 Perfect for the rider who is on the road in both summer and winter, doesn't want a full mask, and wants to protect his (or her) neck from any harm in the Senate. Et tu, Brute? Micro isn't a Greek god, but it is a word that means “small.” It also means “badass looking balaclava made by REV’IT.” You probably can’t find the latter definition in your dictionary though. Not concerned about blocking the wind or keeping the water out? Still need to keep warm and manage perspiration? Dig the REVIT Micro Balaclava. 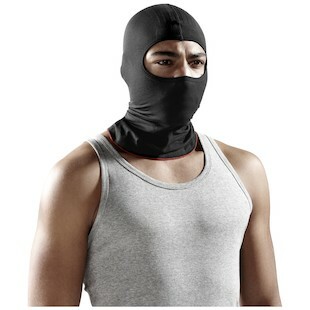 Finally, a balaclava that’s comfy and doesn't create pressure points. Thanks for REV’IT’s “Round Knit” technology, those uncomfortable seams are (hopefully) a thing of the past. The Rev’It! 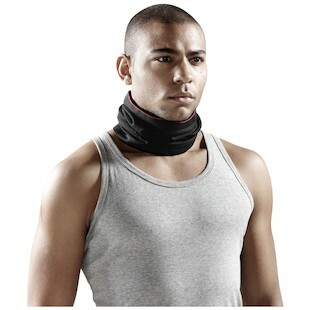 Micro is a mini balaclava that only covers your face and neck. It’s insulating. It fights bacteria. It keeps odor at bay. It ventilates at the nose, mouth, and ears. It’s a surprisingly technical piece that is just at home on the bike as it is when you’re robbing the Empire’s treasury. “But, John!” you exclaim, “I want to protect my chest too - it gets very cold. Also, why are you so good looking?” That’s what you’re saying, right? Anyway, if your chest is particularly vulnerable to the elements, REV’IT has you covered (hah). Enter the REV'IT Maximus. Like the Micro, but with more coverage and a front panel made with Windstopper and a waterproof membrane. The Maximus offers the protection of your favorite gladiator, but with the comfort of a soft animal - like a kitten, or a bunny. It’s stretchy. It’s comfy. It’s breathable. It also doesn't have any stitching around the eyes, which can create goofy red marks on your face. And no one likes goofy red marks on their face.